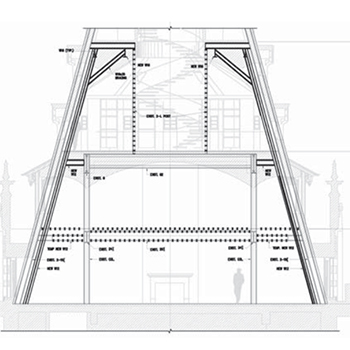 Main Contractor Thompson-Starrett & Co.
• Interiors	 The Office of Thierry W Despont Ltd. 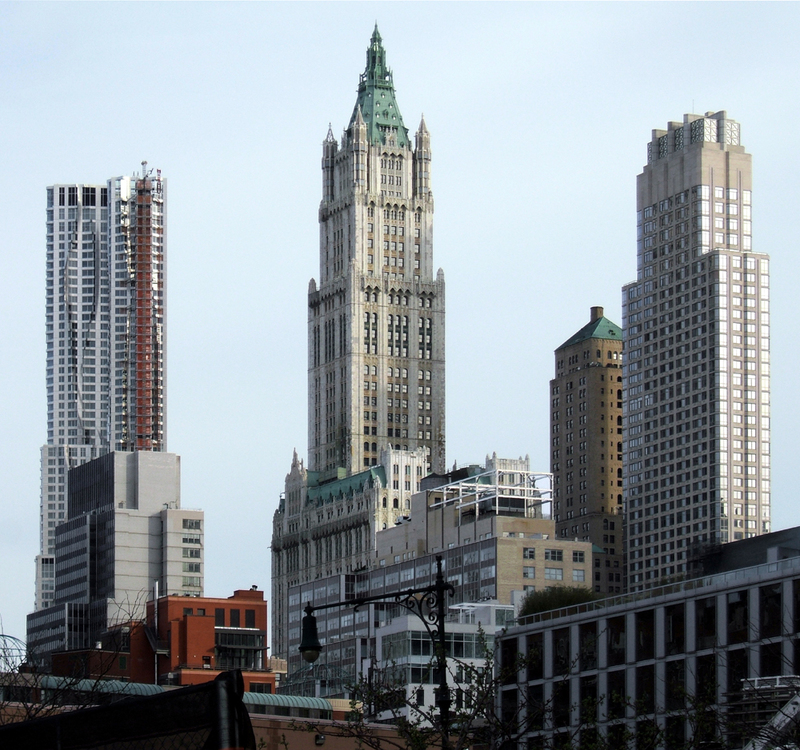 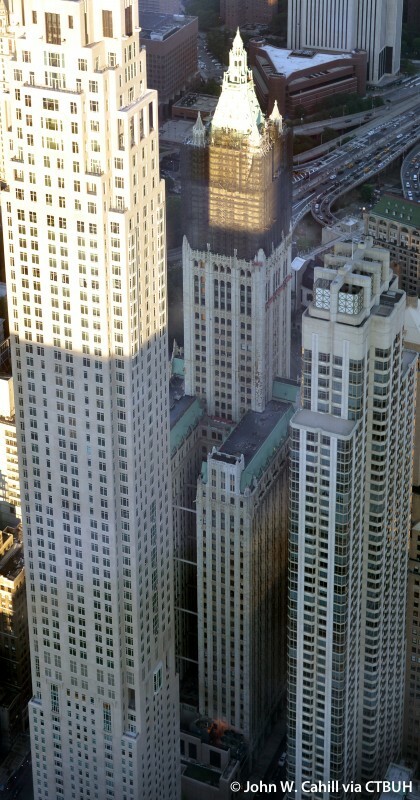 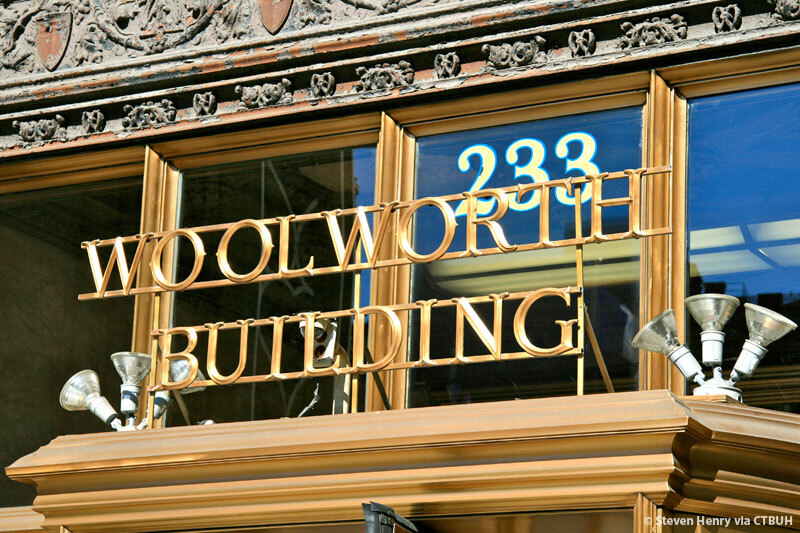 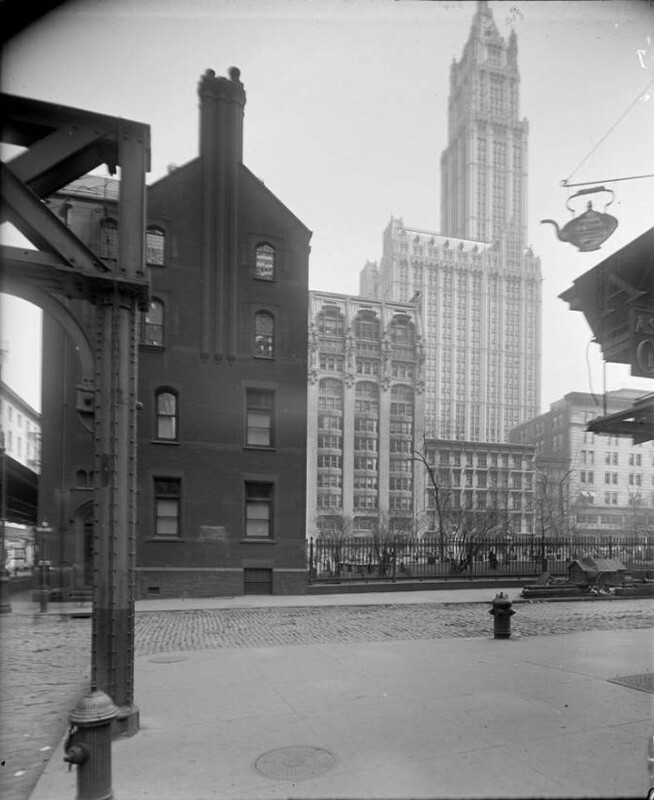 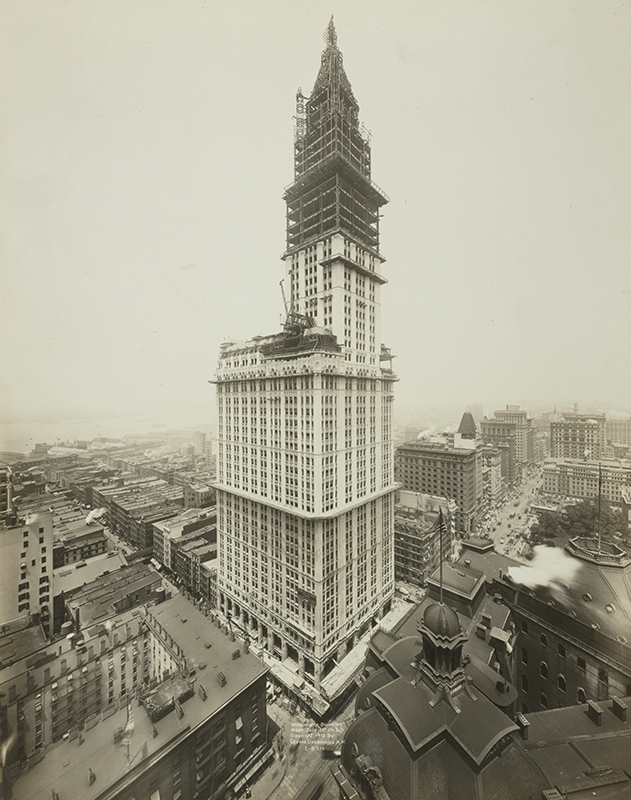 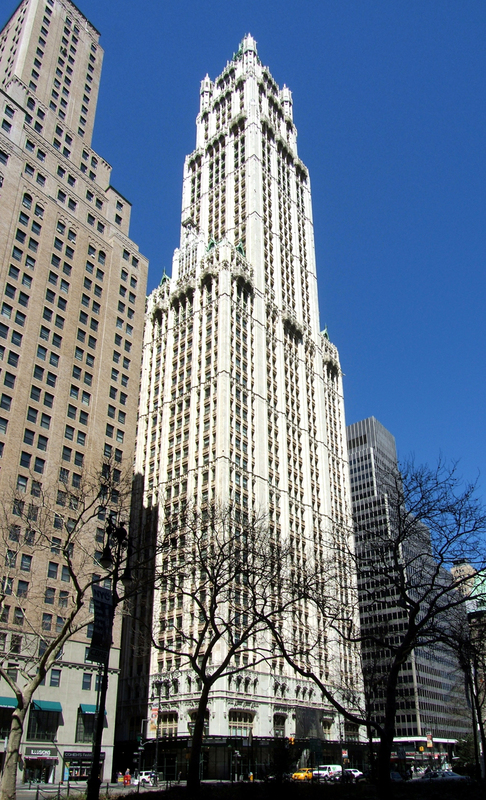 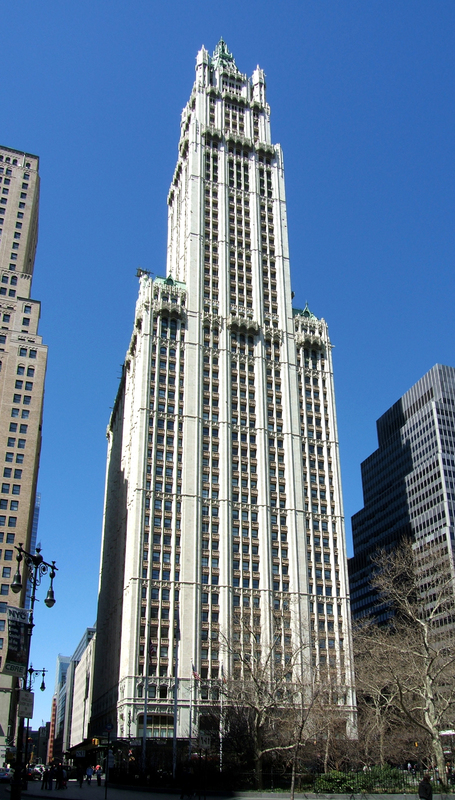 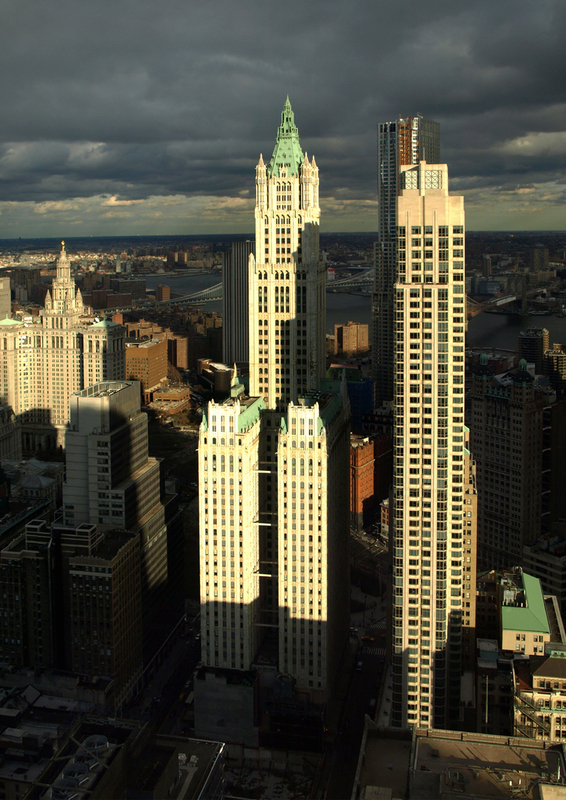 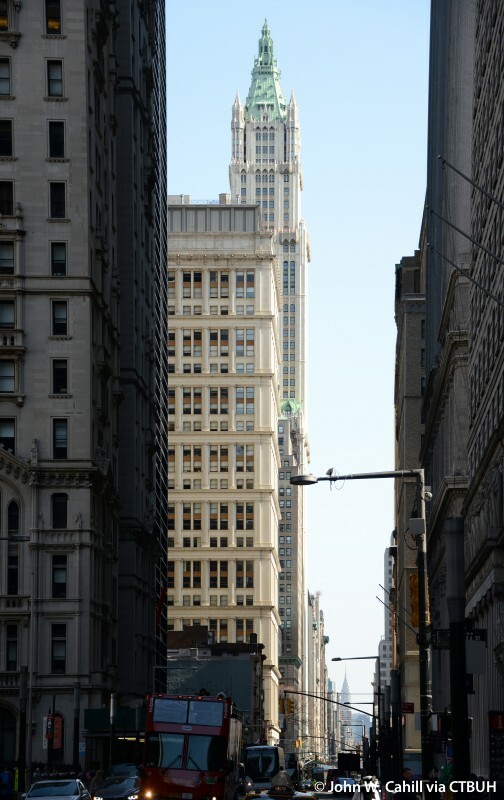 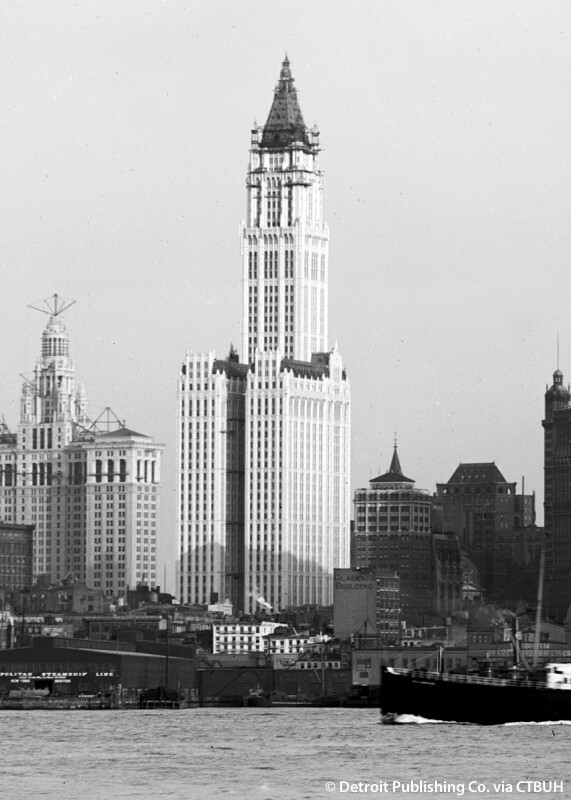 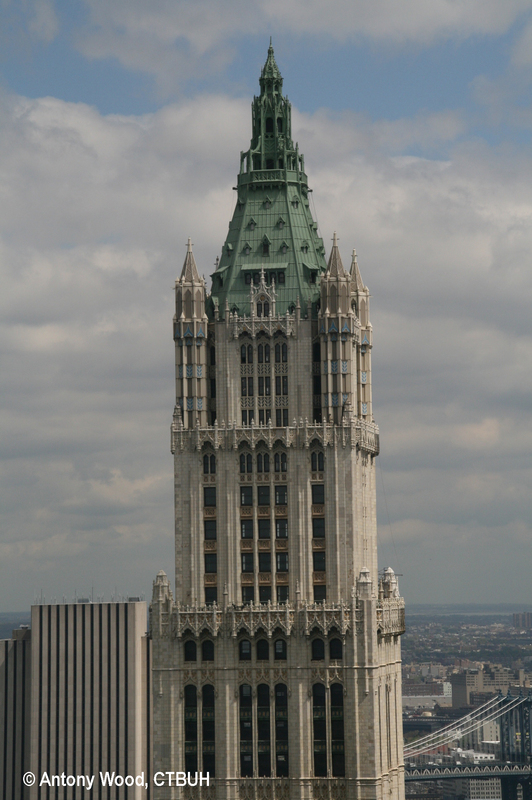 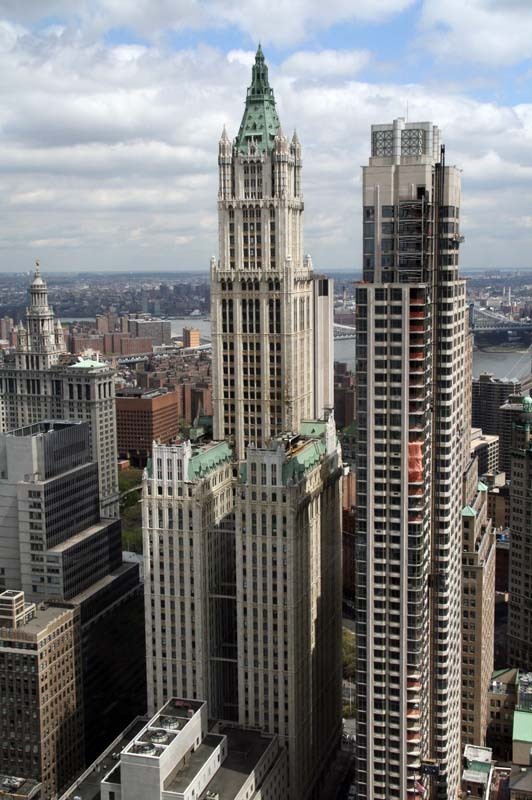 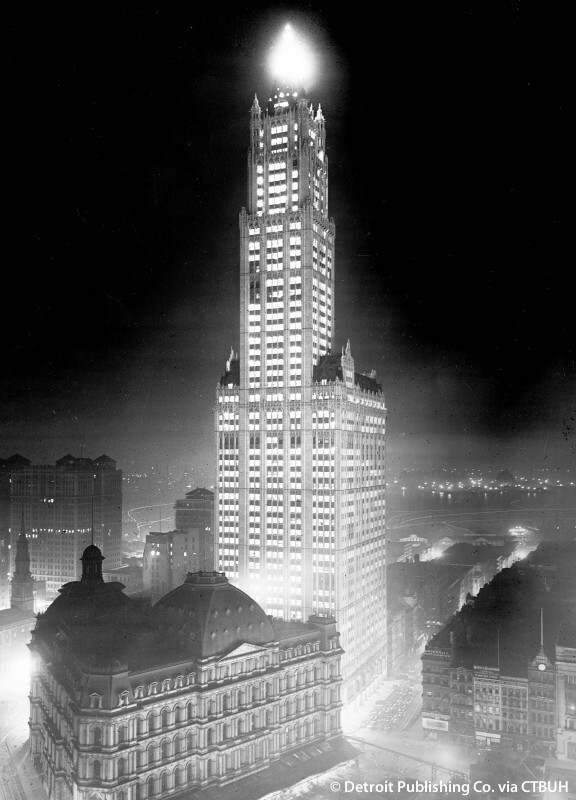 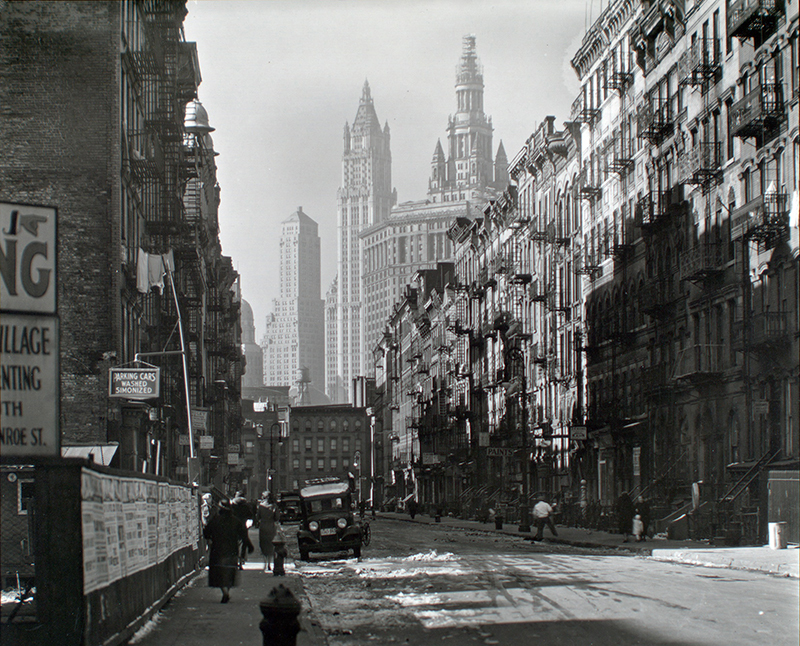 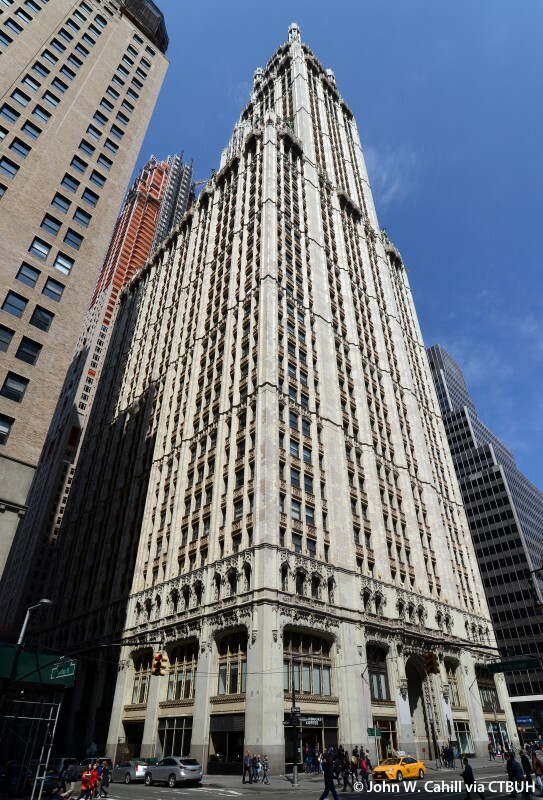 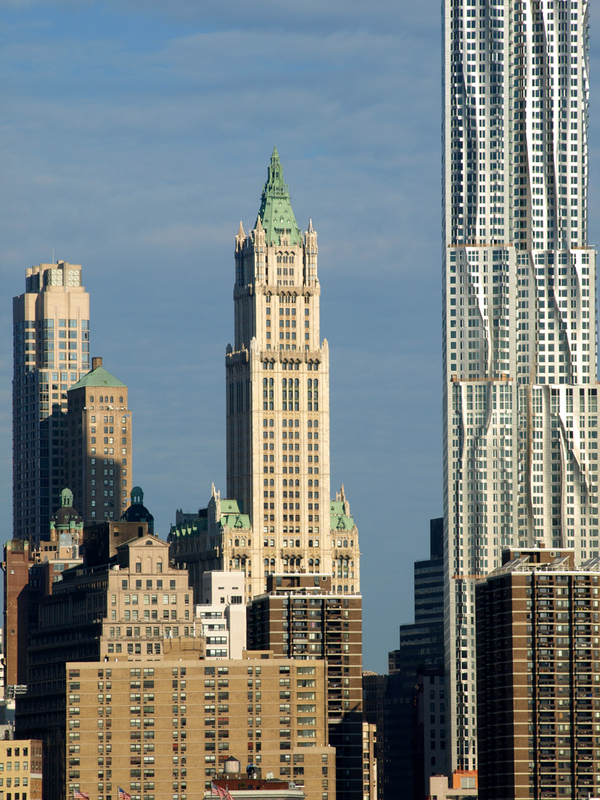 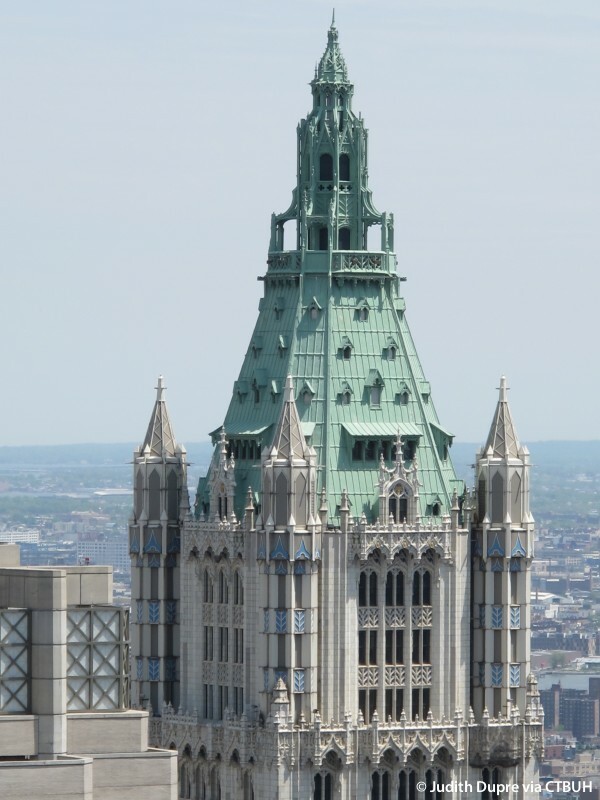 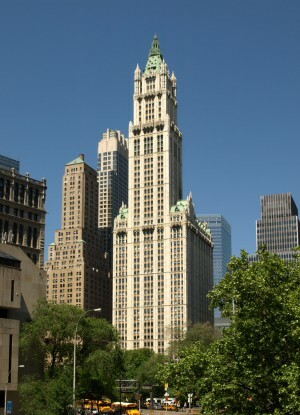 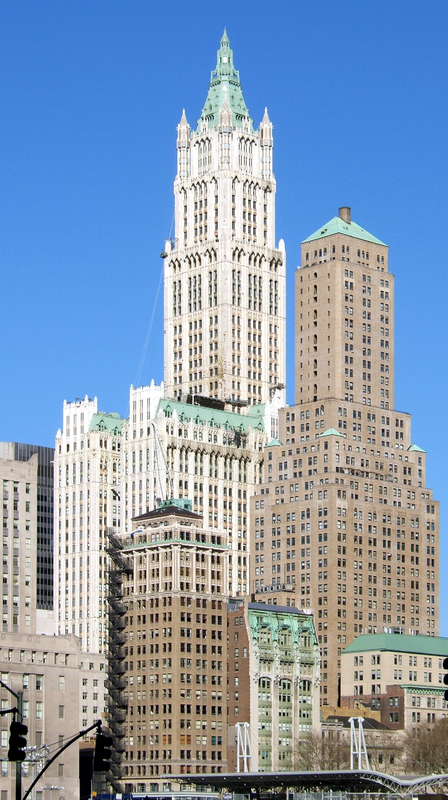 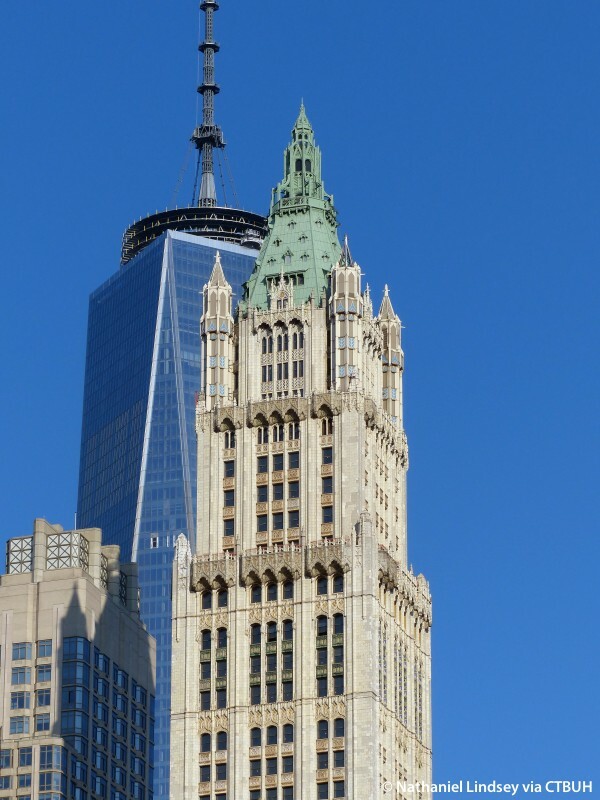 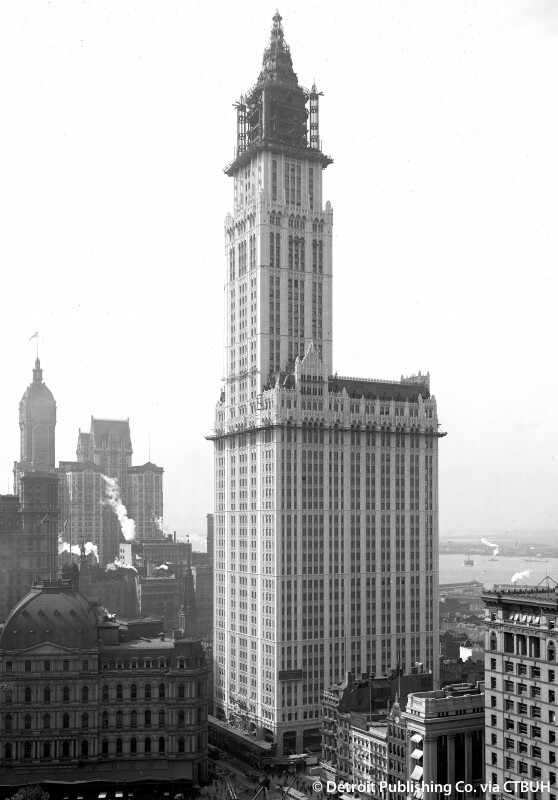 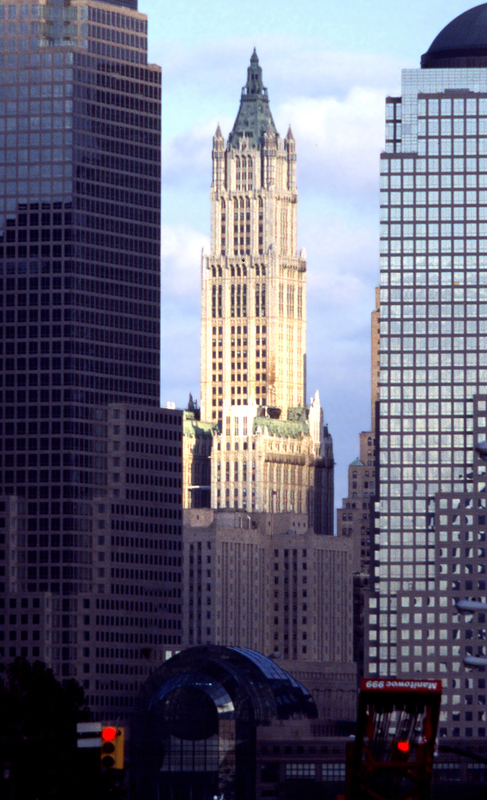 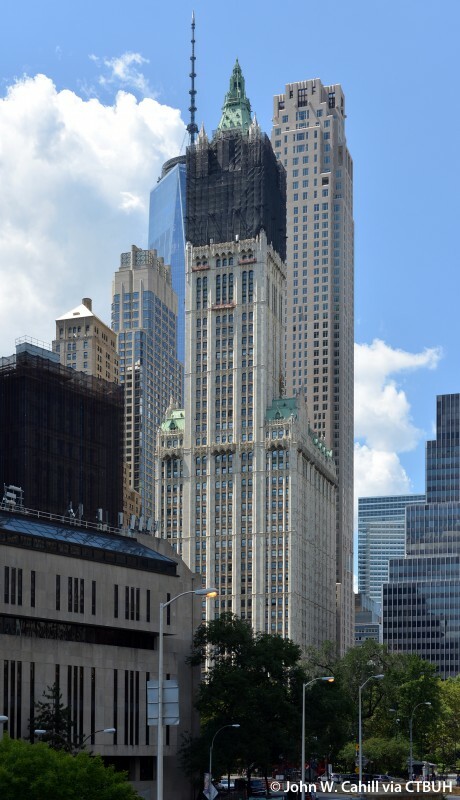 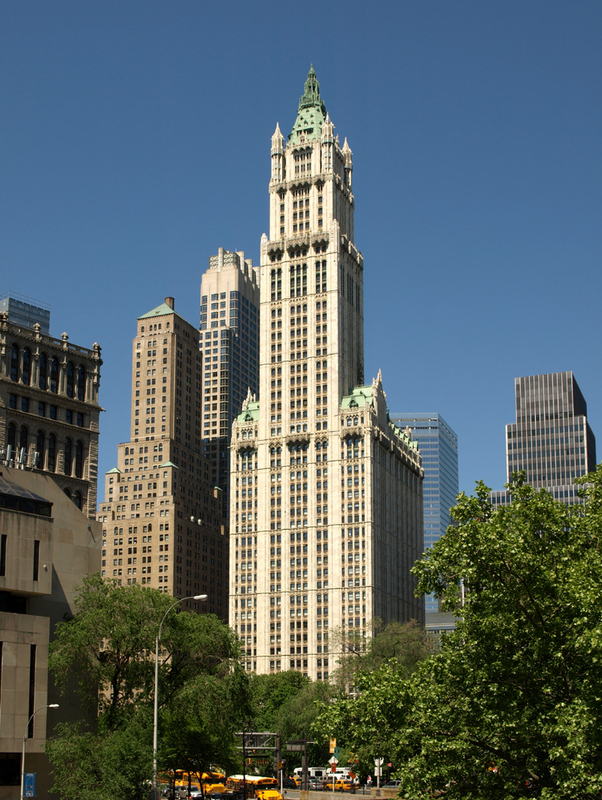 The Woolworth Building was designed in the Neo-Gothic style by architect Cass Gilbert. 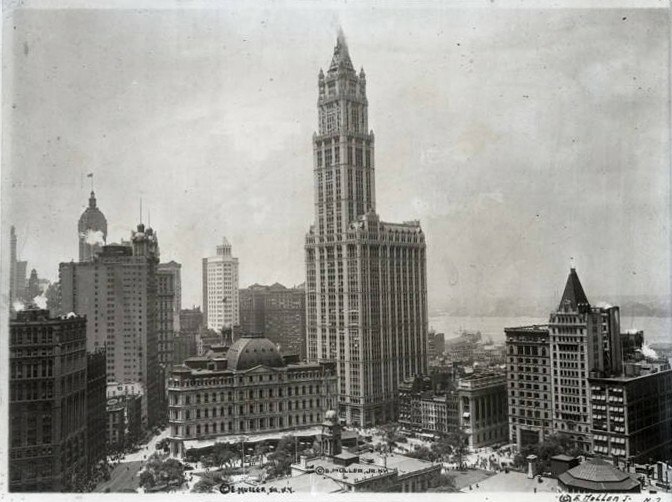 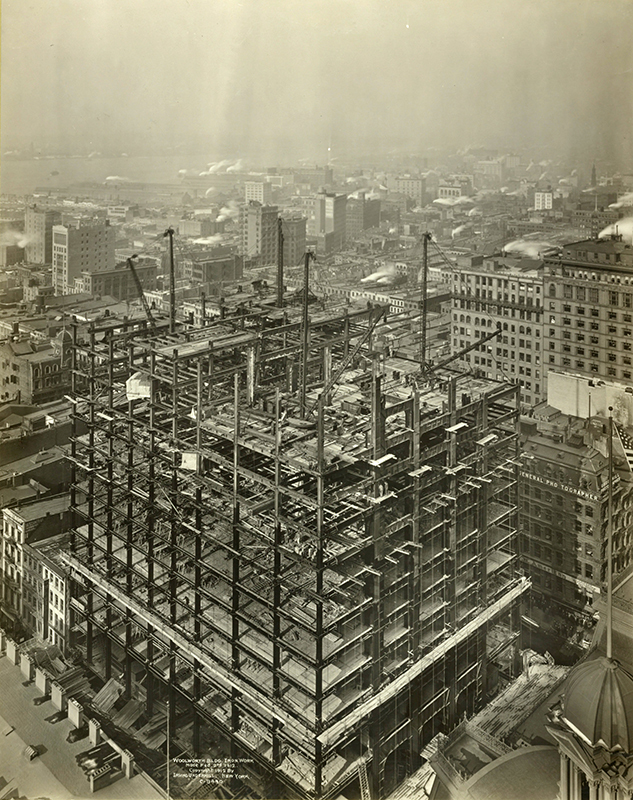 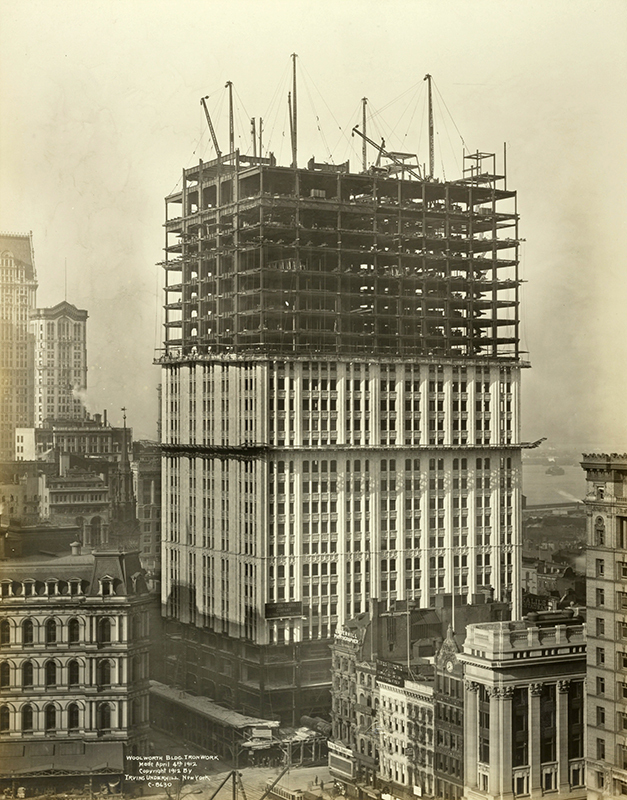 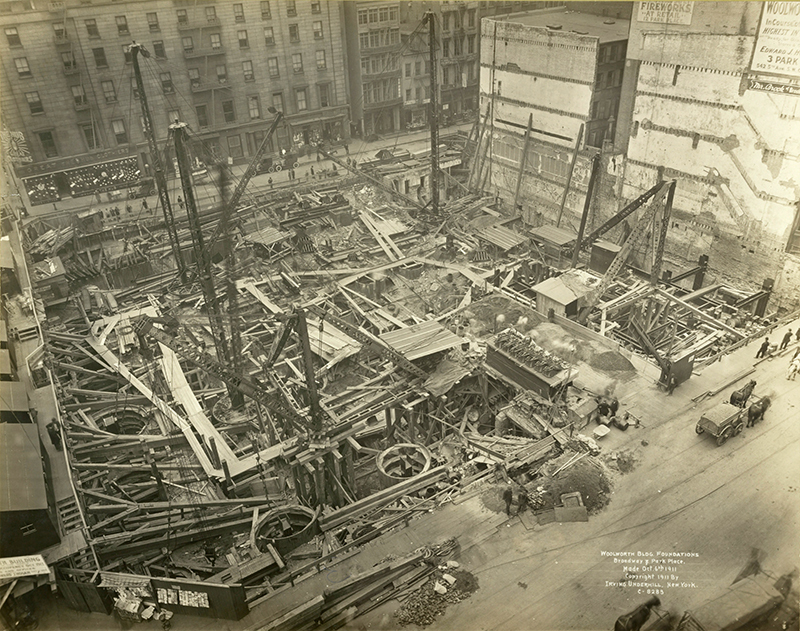 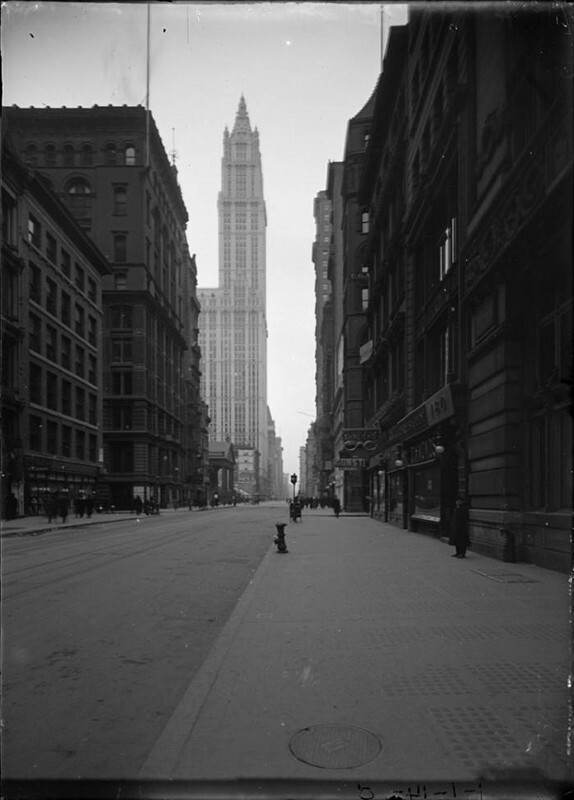 Upon opening in 1913 the Woolworth Building was the tallest building in the world until the construction of 40 Wall Street in 1930. 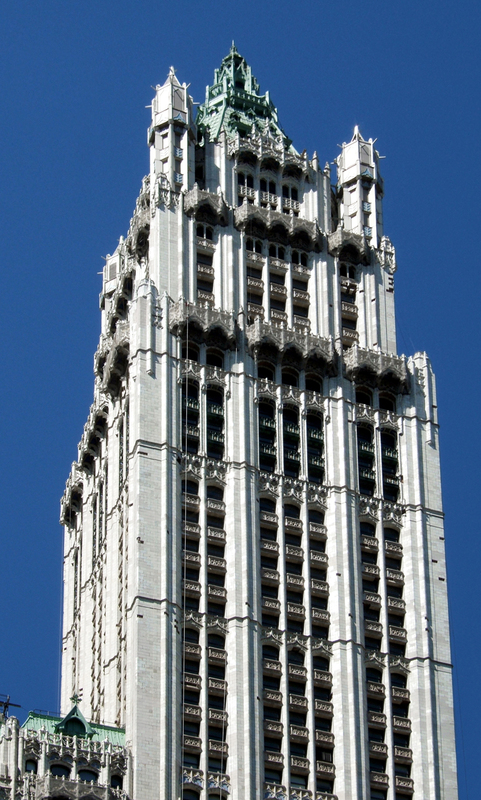 Its Gothic detailing at its crown is over-sized to be able to read from street level. 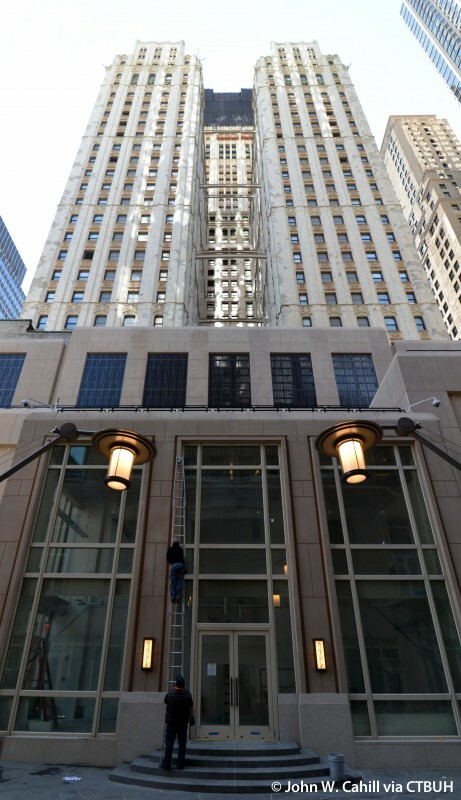 The lobby is covered in marble with a vaulted ceiling, mosaics, stained-glass ceiling light and bronze fitting. 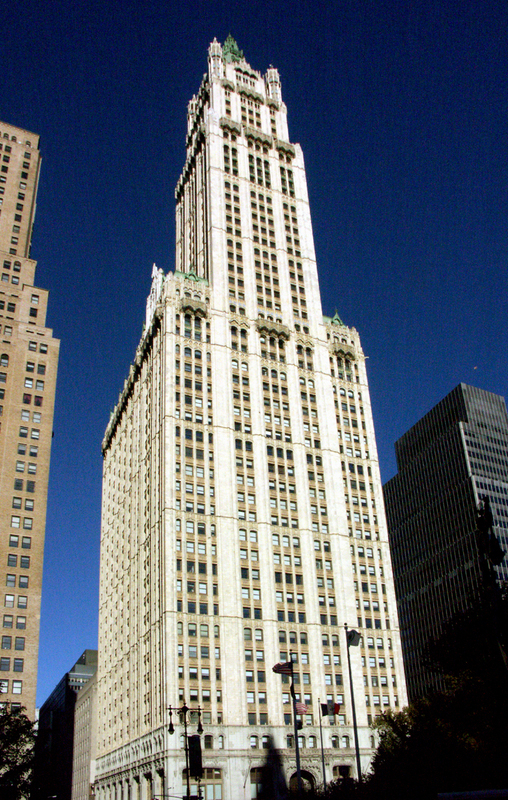 In 2015, the upper floors were converted to residential.